You turned the dishwasher on and went to get dressed for work. You are on your way out when you discover a puddle on the floor and there’s a strange noise coming from the dishwasher. You turn the machine off, haphazardly mop up the floor and rush out the door, hoping you won’t be late for work. Sound familiar? 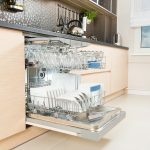 You are going to need a professional appliance repair technician to fix the dishwasher, but when? Life is so hectic and appliance repair is just one more thing to add to the list. Typically repair technicians work normal business hours, just like you do. So when do you schedule your repair? Staying home to wait for the repair technician will make this twice as expensive. Not only will you have to pay for the repair but there will also be lost wages. 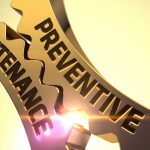 Depending on the quality and reliability of the repair service, you could lose anywhere from a few hours to a whole day of work. Your time is valuable and what you really need is timely and expert repair options to fit your schedule. 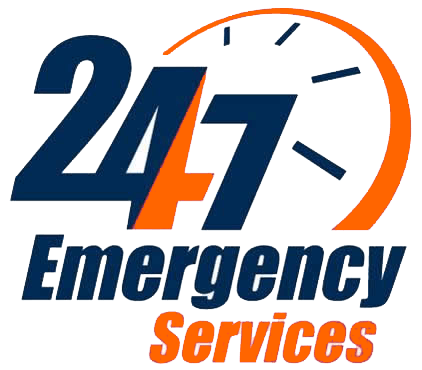 Often when you schedule appliance repair, you are given a 4 to 6 hour window of arrival. This means your whole day is pretty much shot. You’ve either lost a day of work or had to clear your schedule of other important appointments to sit home and wait. Not with Jersey Coast Appliance nationally certified repair service. You will be given a two hour window of arrival, minimizing aggravation, wasted time and lost wages. In today’s economy and competitive job market, it’s just not feasible to take time off from work to get a broken appliance repaired. But don’t all repair service technician only work normal business hours? Not all of them! 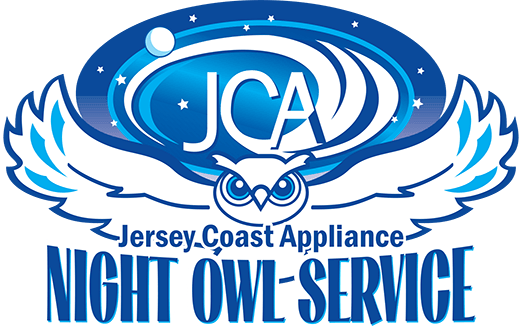 Did you know Jersey Coast Appliance offers Night Owl Service, available Monday through Friday from 4pm to 8pm? This will allow you to get that broken appliance repaired without missing any time at work. You might even be able to have dinner and get the kids started on their homework before the service technician gets there! It is 11:30pm on a Friday night in January and the house feels cold, so you turn the thermostat up but nothing happens. Apparently, your furnace has stopped working. Of course there are always those appliance breakdowns that come at the absolute worst possible times and can’t wait for service scheduled during normal business hours or even Night Owl Service. 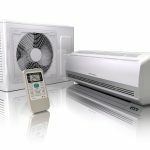 Jersey Coast Appliance also offers professional and reliable 24 hour emergency repair service, 7 days a week. 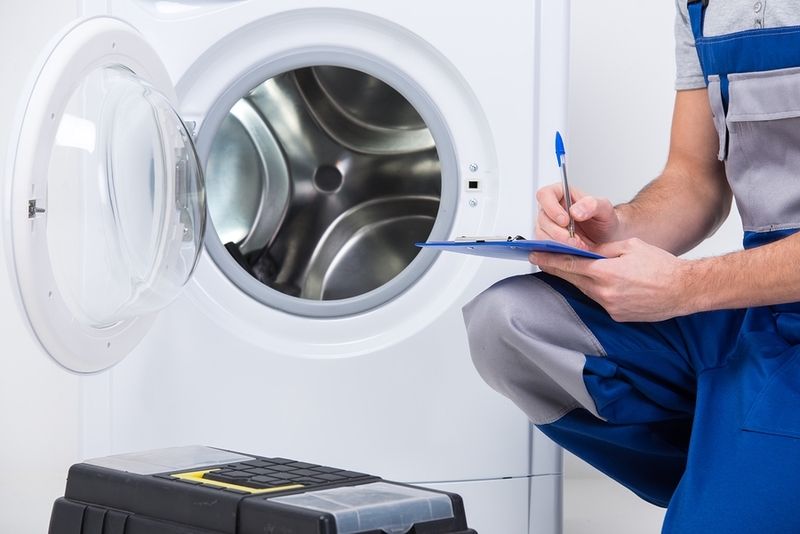 Another big worry with appliance repair beside cost is the repair technician themselves. A valid concern at any time but especially with those late night emergency repairs. It’s understandable that you may be apprehensive when letting a stranger into your home. Are they trustworthy? 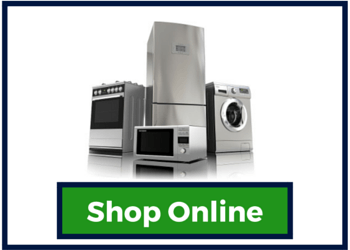 Professional and knowledgeable about your type of appliance and the necessary repair? 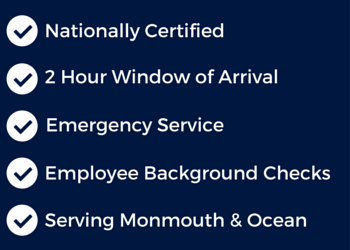 Not only are all of Jersey Coast Appliance technicians factory trained and nationally certified, they also undergo complete background checks and drug testing before employment. You can be assured that the repair technician sent to your home is an expert and can be trusted. 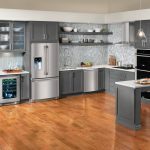 As a nationally approved certified service center, Jersey Coast Appliance has undergone an extensive review of our management and customer service policies, dress code, adherence to Federal and local regulations, insurance coverage and technician qualifications to assure you, our customer, receive the best quality of service that is available today. You can schedule professional repair service online or by phone for a time that works best for you.